Hello and welcome to our website. If you are thinking of a new kitchen or bedroom, you are at the right place. We hope you have found us through recommendation but if not, there are plenty of customer testimonials here for your peace of mind. We aim to help you see clearly how our process works and take away any worries you might have about how to get the job done. When you are ready to get the ball rolling, just fill in the enquiry form or give us a call and we can arrange your first showroom visit or no obligation home appointment. Please see the link to our facbook page too for pictures of recent jobs. All the pictures on this website and facebook are of real jobs we have designed and installed. We hope you enjoy the website and the process of getting your project underway! Best Regards from us all at Orchid! "Excellent company to deal with. Patient at design stage, prompt and professional at fitting and great customer service throughout. Turned tired old kitchen into wonderful new room." "Excellent company, really nice friendly people. Gave me a great kitchen fairly painlessly. Nothing too much trouble - even late mods during installation." 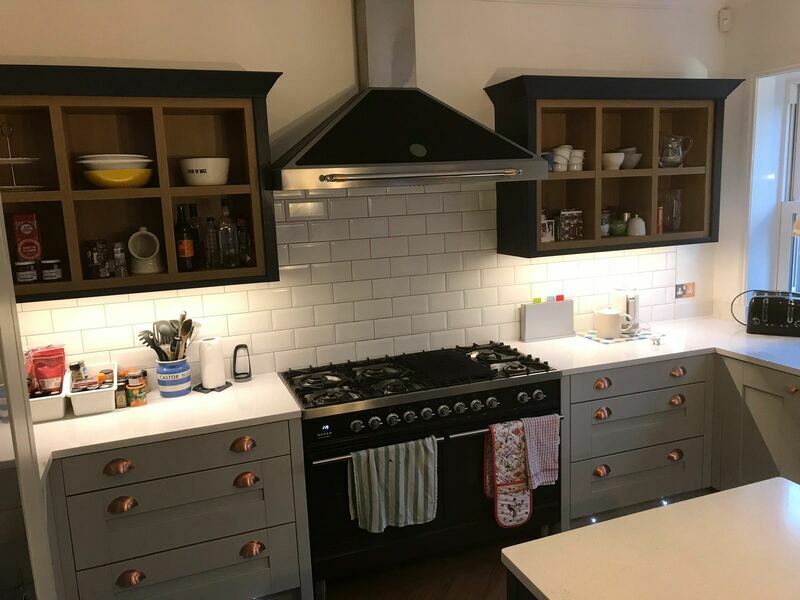 "I have recently had a complete kitchen makeover done by Orchid Kitchens and Bedrooms and I am absolutely delighted with the work that has been done. This work has completely transformed my kitchen. I had an old wood kitchen, which was still ok but probably old fashioned, so I wanted to refresh it with a cleaner, lighter, more modern look. We had new doors and handles, facias, kick boards, cooker hood and lighting done and it looks like a completely new kitchen. 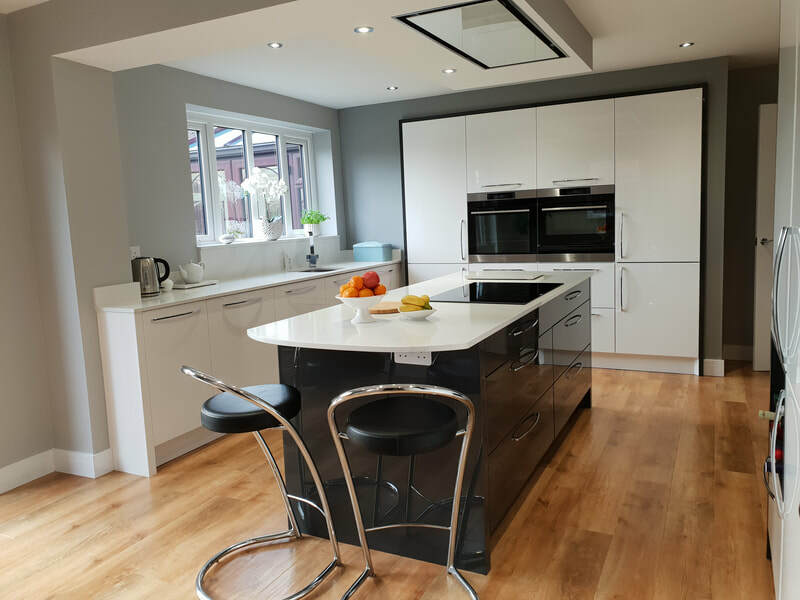 The service from start to finish was first class and I would thoroughly recommend them to anyone that wants a new kitchen or to remodel their existing kitchen." 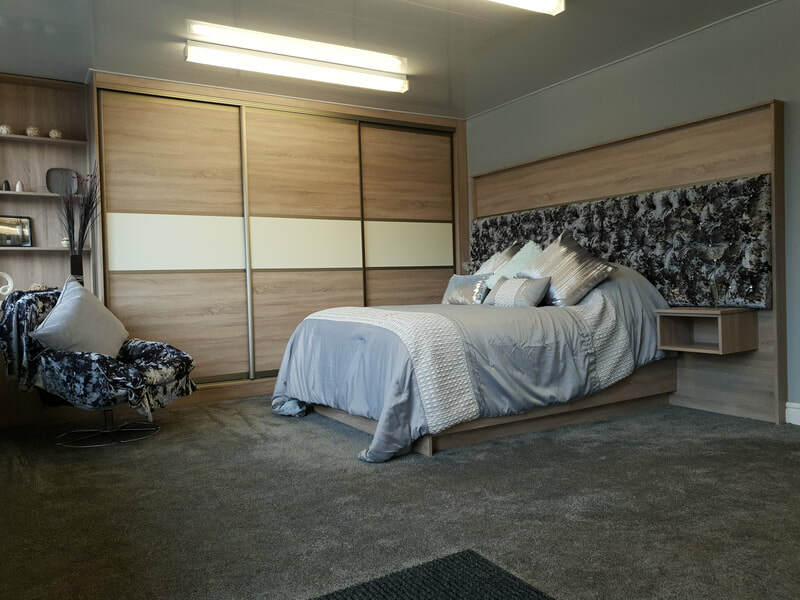 "I have had two bedrooms and a kitchen fitted by Orchid, they are a small family run business and therefore go the extra mile to ensure everything is perfect. The choices and designs are fantastic, we are more than happy with all the work they have done." 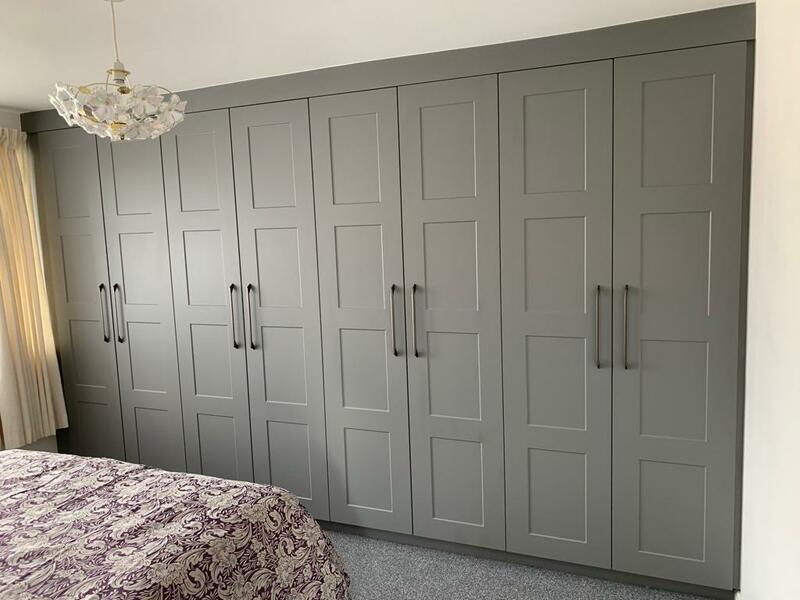 "Our wardrobes are perfect, a wonderful stress free service with great results. Would highly recommend!"